from Earshot Jazz: Before graduating from the New England Conservatory and moving to Queens, Josh Deutsch discovered his love of jazz trumpet within the Washington Middle School and Garfield High School music programs. 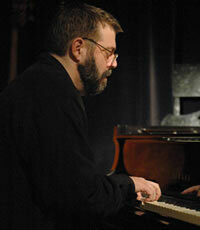 Deutsch has since emerged as an accomplished educator and composer. 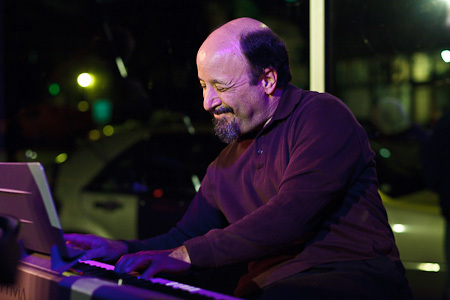 His compositions and arrangements have been performed by artists from the Seattle Symphony Orchestra and Ruth Marshall to the Oregon Jazz Ensemble, Ron Miles and Danilo Pérez. Deutsch has received commissions from the “From the Top” radio show, the Seattle Symphony Orchestra and Music Northwest. 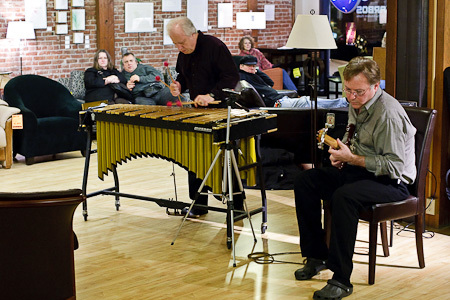 More recently, Deutsch has completed the “Ligeti Project,” a twelve movement cross-genre work for jazz septet, based loosely around Györgi Ligeti’s Musica Ricercata. 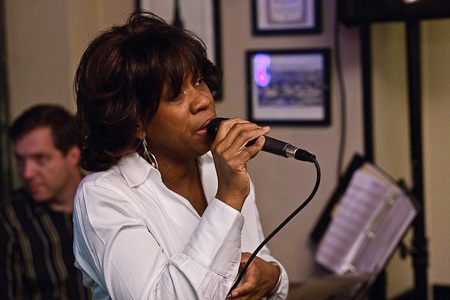 At Tula’s on November 30th, 7:30 PM, Josh Deutsch will lead his exciting quintet of Steve Treseler (saxophones), Dawn Clement (piano), Evan Flory-Barnes (bass), and D’Vonne Lewis (drums). Hope you had an excellent thanksgiving! I’m writing to let you know about a show I’ll be playing this coming Monday (Nov. 30) at Tula’s. I’ll be playing with some of my favorite Seattle area musicians, so this promises to be a very fun show. We’ll be playing a mix of originals and pieces from the great jazz composers, including Billy Strayhorn, Bill Evans, Lennie Tristano, Kenny Wheeler & Dizzy Gillespie. 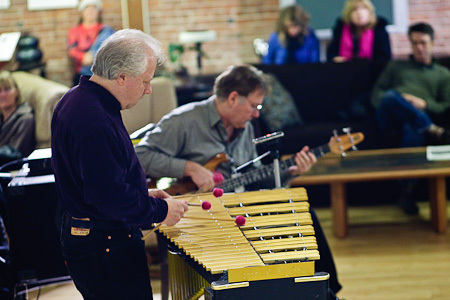 7pm – Jump Ensemble, with Mark Filler (drums/percussion), Marty Hasegawa (electric bass) and Gregg Robinson (piano/keyboards) – CD Release! 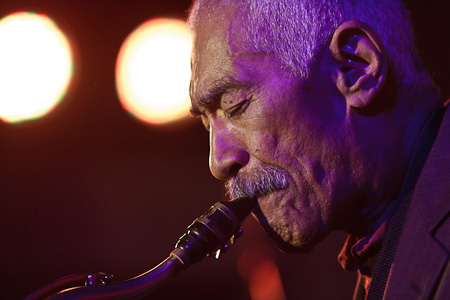 The legendary saxophonist Charles Lloyd brings his brilliant New Quartet, featuring pianist Jason Moran, bassist Reuben Rogers, and drummer Eric Harland, to Town Hall Seattle, 1119 Eighth Ave (at Seneca), at 7:30pm, December 6th, 2009. 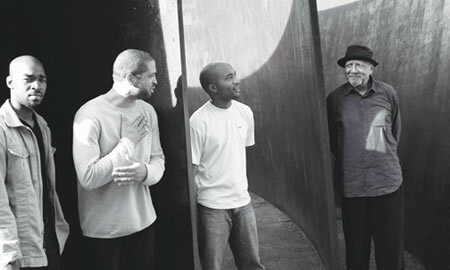 The quartet unites three stellar representatives of jazz’s younger generation with the venerable artist Charles Lloyd, who’s distinctive tone is defined by technical brilliance informed by a lifetime of spiritual questing and creative collaborations with artists and musical philosophies from around the world. Lloyd’s New Quartet is a relatively young but well-established group of musicians who are fully capable of sharing Lloyd’s pursuits. A leader in his own right, Jason Moran (piano) brings a mature second lead voice to the group. Reuben Rogers (bass) and Eric Harland (drums), one of the most exciting rhythm teams in jazz, form a shifting tonic that’s perfect for bringing the exotic structures in Lloyd’s compositions to life. 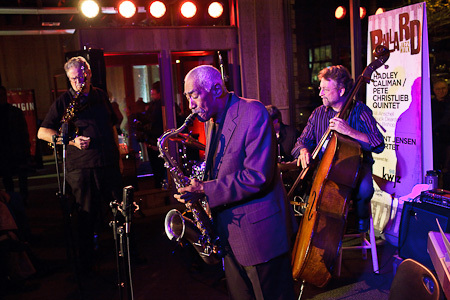 The group’s recent ECM release, Rabo de Nube, recorded live at a 2007 concert in Switzerland, captures the New Quartet’s energy and sophistication. Tickets are $10-$35 in advance through Brown Paper Tickets at brownpapertickets.com or 800-838-3006. 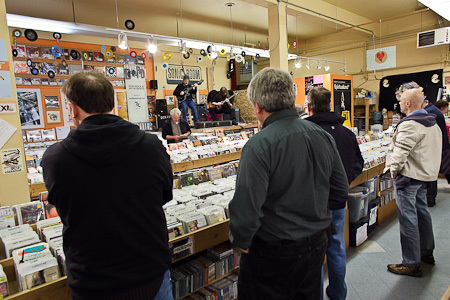 Discounts available for Earshot members, senior citizens and students. 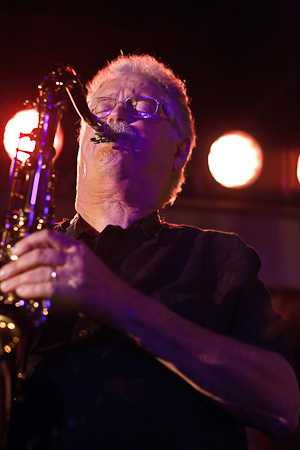 Tickets also available at the door on the day of show from Earshot Jazz. 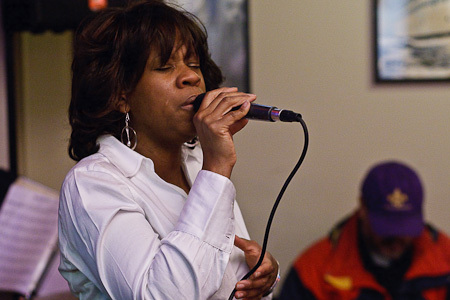 Call Earshot Jazz at 206-547-6763 for more information. The event is sponsored by NAI, New Age Industries, a transportation industry consulting firm. Sushi master Hiroshi and his gang prepare a full menu of Japanese cuisine that is fresh, tasty, and full of flavor – all matched with some very special sake and beverages (try the plumb wine) Favored by local Japanese and music lovers, Hiroshi’s has been featuring live jazz on Friday nights for over three years – presented by the Pony Boy Records stable of artists. 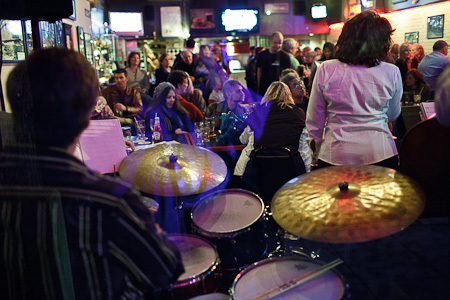 Come by for some fine food, and see who will be sitting in with the band – Fridays have become a ‘happening’ on Eastlake! Cheers! It’s a curious irony that at a time when entire music collections can be shrunk down to the size of a couple of sticks of gum, certain music packages keep getting larger. Hot on the heels of the much-celebrated remastered Beatles sets, Sony Legacy is releasing “Miles Davis: The Complete Columbia Album Collection,” a beautiful but somewhat daunting stockpile of 52 albums on more than 70 CDs spanning four decades in the jazz trumpeter’s storied and fiercely unpredictable career. 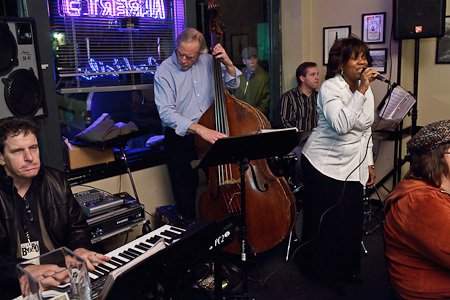 Tomorrow night (Friday) jazz takes over the streets of downtown Ballard. 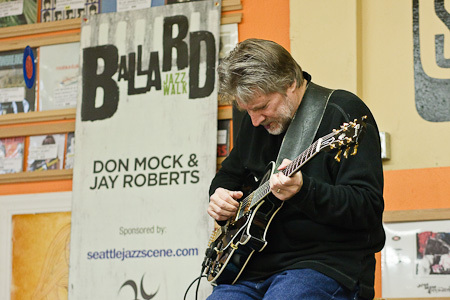 Visit the Ballard Jazz Walk website for tickets, complete schedule and artist biographies. There is no service charge for buying your ticket online. 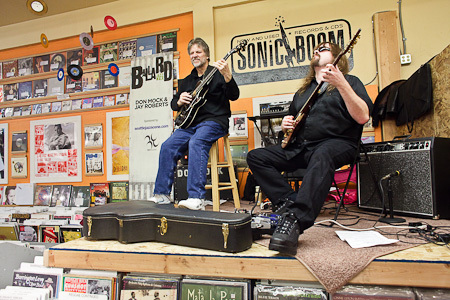 Visit the Ballard location of Sonic Boom Records to purchase a Jazz Walk ticket in person. There is an additional $1 service charge and you will have to pay in cash (tickets will be $21 total). DID YOU ALREADY BUY YOUR TICKET? If you already purchased your ticket online you can pick up your tickets on Friday at Will Call starting at 5:00pm.